Cordwood Blog: Rollie & Helen's Here We Come! So, back in November of 2014 Team Cordwood set out on an adventure to Minocqua Wi. to visit Rollie & Helen's Musky Shop. 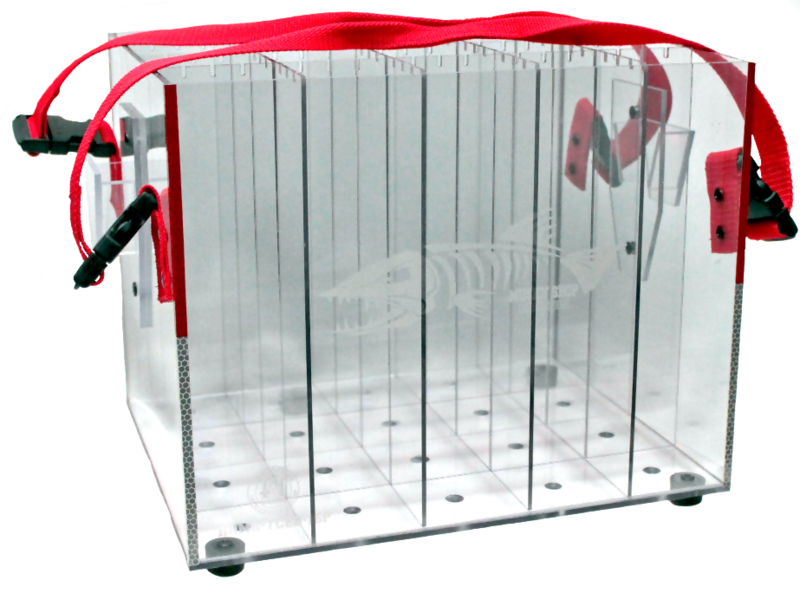 Turned out to be a great visit as we are now stocking the 24slot and 20slot Esox Box in their store. Complete with a cool R&H Musky Shop Etching on the front. 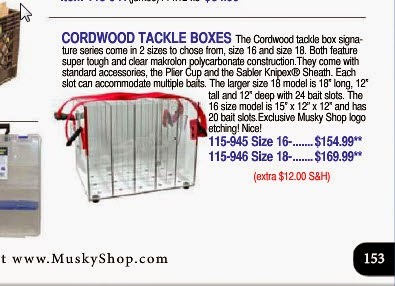 Not only that but some of the boxes have a FREE Lure inside compliments of Muskie Metal Lures . There is a whole bunch going on and I will talk about it in future posts but suffice it to say Team Cordwood is gaining momentum. From the 2015 R&H Catalog!! !